*This podcast originally aired on June 7th 2013, and is part of our Retro Rewind initiative to publish our back catalog of episodes for our listeners! 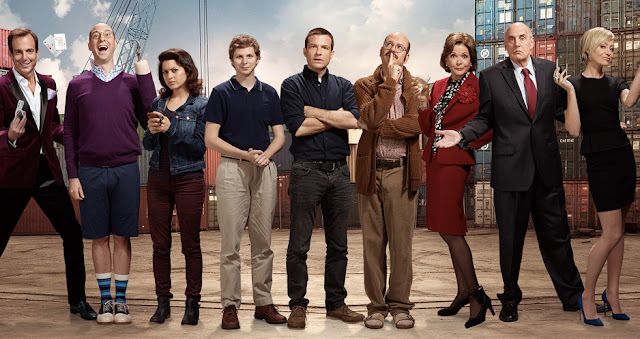 In this week’s edition of The Confirmed Epic Podcast we review Netflix's newest release: Arrested Development Season 4. We also cover the EPIC news items of the week: Defenders of Eden, The Week of the Batman, Matt Smith leaves Dr. Who, and Benicio Del Toro and Karen Gillan in Guardians of the Galaxy. As always we get into what we have been checking out this week: Heroes Con Cos-Play, The final season of The Office, Hellboy comics and crochet, The Big Bang, and Far Cry 3: Blood Dragon. Although we do warn listeners in the podcast, we wish to reiterate: THERE ARE SPOILERS IN THIS PODCAST.